Is Rolex the best watch company? Is a Rolex a good investment? Should you buy a Rolex? What color Rolex should you buy? Which Rolex model is the best for you? Founded in 1908 by Hans Wilsdorf at the age of 24, Rolex over the past 100 years is a brand that has transcended boundaries and written its own rules. 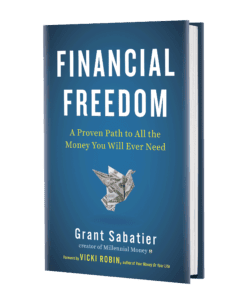 Since the company is privately held and it’s factory an almost impenetrable fortress, not a lot is actually known about the day to day operations of the company. But there are many things that are certain: Rolex is in a category all it’s own – it is arguably the most well known brand in the world and has been the go to watch maker for revolutionaries like Fidel Castro and Che Guevara, spiritual leaders like the Dalai Lama, characters like James Bond, Hollywood elite like Brad Pitt and Al Pacino, rappers like Tyga (dude wears 2 at a time! ), Future, and Kanye West, as well as the sleazy insurance salesmen and the blue shirt corporate tax attorney who lives down the street. Somehow it is a brand that is timeless and innovative – representing luxury, affluence, and exceptional quality. There really is no comparison – when you hold an authentic Rolex in your hand you can truly feel something special. It many respects it’s the perfect watch. You can dress it up or dress it down, it can be your daily wearer or kept in a safe for the next generation. It reportedly takes a full year to build a single Rolex from start to finish and most watches contain hundreds and hundreds of small microscopic parts. Check out this insane video of a Rolex Submariner being taken apart to see what’s inside. So many miniature pieces all working together to tell time using just the energy your your natural movement. It is truly an exceptional engineering feat that Rolex also work to constantly improve. Rolex watches were originally developed as “tool” watches for divers, pilots, yachters, scientists, and then became a fashion and status symbol starting in the 1970s. It is the brand who’s many original models are still in existence (Explorer, Submariner, GMT, Yachtmaster, Day Date, and President) and they have continue to subtly improve over decades. The Rolex team are always trying to improve each movement and experiment with new ideas. It’s easy to see that the people at Rolex take extreme pride in their craft – with many of the watchmakers having spent their entire careers working for the company. You can not only see this extreme attention to detail in the construction of a Rolex, but you can also feel it. I have tried on many luxury watches in the past few years and the feel of a Rolex is beyond compare. A Rolex is a watch of unmatched quality and I hope that this Rolex buying guide helps you discover the watch perfect watch for you. This will be a forever debate amongst watch collectors. The simple answer is that there is no “best” watch company, but Rolex would easily make the “best” of list which also includes other iconic brands that go back centuries like Patek Philippe (1839) , Omega (1848), Audemars Piguet (1875), Panerai (1860), Cartier (1847), IWC: International Watch Company (1868) and a few other brands. There are a lot of companies making great watches right now and there are also a lot of companies that aren’t. Despite a recent decline in new luxury watch sales, the vintage market is booming and brands like Rolex are crushing it. Many other brands are jumping on the bandwagon. For example while companies like Louis Vuitton are now making automatic watches that are Swiss made and I think look pretty cool and are likely built well, they lack the watchmaking history of many other brands. Rolex are one of the only watchmakers in the world who actually manufacture all components “in-house,” including the metal and gold used in their watches. This means they have their own gold refinery and can manufacture alloys that can’t be copied by anyone else. And let’s not forget the heart of the watch – the movement. Rolex manufactures everything in those movements in house and then assembles them. They design, create, and assemble all of their watches using both custom built machines to do precise tasks, as well as thousands of people hours to do those things humans can do, like steadily balance the “balance” – a part known as the mind of the watch. A simple rhythm powered by the movement of your arm and is stored in the balance of the watch and powers it even when you have it off for 50+ hours. They truly are works of art. Even though Rolex watches started as tools, in the 1970s they started making all gold models and using precious stones so that all those new drug king pins could have something to wear! 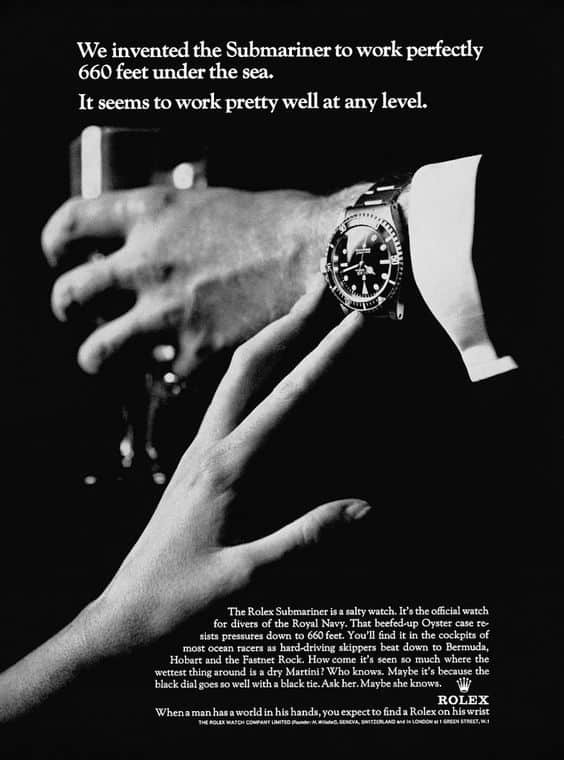 Well not really, but kind of – by the 1970’s Rolex’s were becoming known as a luxury brand and all gold versions of the Rolex Submariner and Rolex GMT debuted, as did diamond and ruby dials and bezels. Because Rolex watches are in such high demand, most models hold their value incredibly well and some models consistently grow in value. While it is of course difficult to predict the future based on past and current demand the interest in Rolex is likely going to continue to grow over time. Interest in Rolexes (based on Google searches) have grown steadily over the past 5 years and show no hint of slowing down. While I wouldn’t count on retiring from your Rolex collection, there are clearly some people who have made a substantial return on their vintage Rolexes and some watches have recently skyrocketed in price. 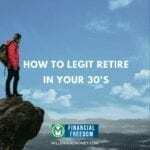 The value of your Rolex Submariner will likely appreciate up to 5% per year (which yes is better than the stock market is currently doing), but I don’t recommend rolling over your 401k into Submariners! Check out this 1960 GMT that recently appeared on Antiques Roadshow. This is a complicated and personal question. First, there are many reasons people pay $5,000+ for a Rolex watch, but most people who buy Rolexes are celebrating an occasion, just have a ton of money, or they are truly looking for an iconic timeless well-made watch. For me it was becoming a partner at my consulting firm. I worked super hard for over 5 years to become a named partner at my firm so I wanted to mark the occasion by buying a Rolex that I could wear everyday to remember the achievement. It is a common custom in Japan for people to celebrate big occasions like graduation, marriage, or birth with the gift of watch. It is to help you remember how you felt upon receiving it – I bet very few people forget when they got their first Rolex. For me this was a purchase that was both planned and impulsive. I told myself I would buy a Rolex when I became a partner and I knew it was likely going to happen in the next 6 months. First came the planning: I took some time to study the models, the features, the movements, and the history of each Rolex. I then started checking Chrono 24 almost daily. Chrono24 is a database where top watch sellers around the world list their best watches for sale. Search for anything and I bet at least one person is selling it somewhere and likely many others. It is the true global Rolex marketplace. Some prices are ridiculous, but there are deals too. It is a credible website and you can read reviews of sellers, as well as conduct the transaction direction on the website. I also set up ebay alerts to notify me when Rolex models like mid 1980’s transitional Rolex Submariner 1680 and 16800 models. A piece of advice: you have to be very careful on ebay but there are deals to be had from reputable watch dealers – just check to make sure the sellers have a physical store somewhere and that its been open for at least 5+ years. Then came the impulse: When I found the right watch I acted immediately – good deals on Rolex watches go fast. So many models are unique and sought after that you have to move quickly. Finding the right watch takes both planning and the ability to click or buy the Rolex you fall in love with immediately. For me it was a 1984 Submariner 1680. This is what I recommend you do – start looking for a Rolex ideally 6-12 months before you intend to buy a watch. Set up alerts on Chrono24 and ebay. Also check websites like HQMilton – one of my favorite watch websites and store based on San Francisco. Just start digging and you will find a watch you love. Then buy it. Whether its to celebrate a special moment or simply love at first sight, however you buy your Rolex it will bring you joy. But be careful it might even become an obsession. By far the most popular Rolex color and since the mid-1980’s Rolex have been using their own 904L grade of stainless steel – which is more durable, resistant to scratches, and is much shinier than other stainless steel. It is pretty easy to tell the difference – it really does shine. The stainless steel Rolex is the classic color and is perfect to both dress up and dress down – you can never go wrong with a stainless steel Rolex. They are also easy to fly under the radar and to the unknowing eye can blend in as just a standard sport watch. This makes them ideal to wear in both business and personal settings. A stainless steel Rolex is the watch the all other sport watches around the world have been modeled after – the stainless steel look is timeless. Most Gold Rolex watches are 18kt gold, but the color of the gold (which is determined based on the percentage of other minerals used when refining it) has varied pretty substantially over the year. Some gold Rolex watches are more yellow or more or less bright than others. I recommend that before you buy a gold Rolex you first see it in person – since a lot of the photos from online stores are brightened and the gold may be duller in person. With that being said – a vast majority of the gold Rolexes that I have seen are super bright and vibrant. 18kt gold “Rollies” are the favored style of rappers and ballers around the world. In my opinion very few people could actually pull off wearing a gold Rolex at work unless they are an entertainer, gambler, or drug dealer. Gold Rolexes come in yellow gold, white gold, or rose gold. It is important to note that some Rolexes are solid gold and others are hollow depending on the year and model. While there is no tried and true rule, most but not all gold Rolexes made after the year 2000 are made of solid gold. Most vintage models before 2000 are hollow. A lot of people ask how much the gold in a Rolex is actually worth and based the current price of gold at $1,200 per ounce most gold Rolexes are made of less than an ounce of gold and contain about $1,000 worth of gold. This is far from the starting price of $10,000 + for a used Rolex President, $15,000+ for a used Gold Rolex Submariner, or $25,000 + for a Rolex Yachtmaster. Then finally there is the two-tone Rolex, which is typically a predominantly stainless steel Rolex with gold accents (on the band and on the dial. I personally don’t like the two-tone models, but they definitely are popular particularly amongst older Rolex buyers. All of the Rolex owners I personally know over the age of 40 wear two-tone watches. 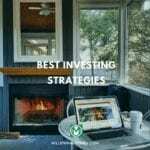 They are also the go-to model for bankers, business executives, and anyone who wants to show just a little bit of gold. Now that you hopefully have decided what color Rolex watch you want you should start thinking about whether you want to buy a new or a vintage Rolex watch. This is truly a personal decision and some people just like buying and knowing that the Rolex they bought was new and no one else has worn it. New Rolexes can only be purchased at an authorized Rolex store – you cannot buy a new Rolex at any reseller or third party store (so naturally be cautious if someone is offering you one). Most new Rolexes range in price between $5,000 – $30,000 depending on the model, metal, and features. The world of vintage Rolexes is truly infinite and there is nothing quite like the uniqueness of a vintage Rolex. An old school vintage Rolex truly tells a story and most (but not all) watches age beautifully due to the materials that were used over the years. For example many old Rolex Submariners pre-1990 have dials that have a creamy patina on the hour markers that are prized by collectors. It is also worth noting that many vintage Rolex watches that have rare imperfections, like dials that have faded in the sun and are now a “tropical” brown color, are also prized by collectors. Navigating the world of vintage Rolexes can be incredibly perplexing – especially when you realize that just a simple extra line of text on the dial or the fact that the text is written in red instead of white can make a watch command prices that are sometimes as much as $30,000+ extra. The rarest detail typically makes the watch more coveted and thus more expensive. Some Rolex collectors are super intense. Not all vintage Rolexes are super expensive, but they aren’t cheap. You will never find a quality used Rolex for under $2,500 and the starting prices for used Rolex Submariners are in the $5,000+ range. Most Rolexes hold their value extremely well and most also appreciate in value over time. This can’t be said for most watch brands. The final vintage trend that is worth noting is the popularity of birth year Rolexes – buying a Rolex that was made the year that you were born. 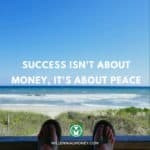 This is what I did and I was actually able to track (based on the best information available) that the Rolex I bought was likely made in the exact month in the exact year that I was born. 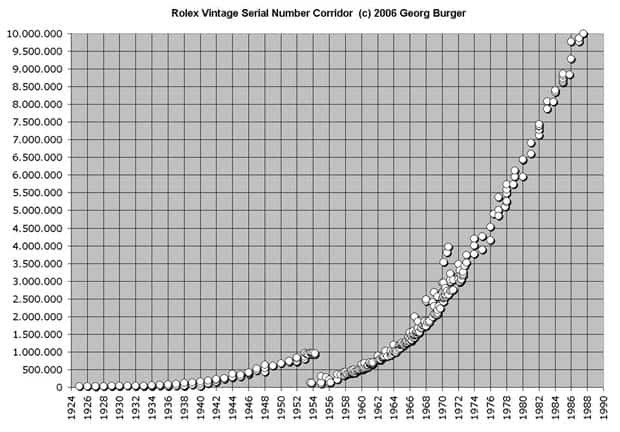 To be honest I got a little bit obsessed with tracking Rolex serial numbers (the data available is not great and Rolex have never released official serial numbers by date) to determine a more precise date when the watches I was looking at were made. The best Rolex serial number resources I found mostly aligned with the serial number distributions shown in the chart below (aggregated from many sources). If you want to search for your serial number their are some good tools available – but the accuracy varies. Check out the Rolex Serial Number Finder at Bobs Watches. There are literally volumes written about this topic, but let me give you the highlights of the most popular models with my thoughts on each. So which Rolex did I decide to buy? My first Rolex had to be a Submariner. This fully automatic watch (no batteries – it runs off of your wrist movement) is the workhorse of all Rolex models and it’s insanely comfortable – it literally becomes a part of you. It is both heavy enough to feel, but light enough to make it feel like you aren’t wearing a watch. 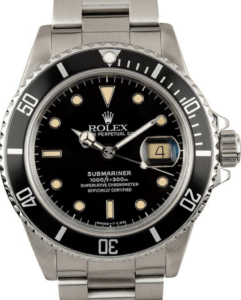 First developed in 1953 the Submariner is arguably the most recognized Rolex (and counterfeited) in the world. The Submariner was originally developed for scuba divers and is prized for it’s extreme durability and waterproof construction. The current Submariner models can be submerged in up to 1000 feet of water and feature a uni-directional bezel that can be used to help you remember how long you have been under water (so a diver can gauge how much oxygen they have left in their tank). One of the cool features of the old school vintage Rolex Submariners (pre-1990) is that they age over time and the dials take on a perfect patina. The Rolex Submariner is my everyday wearer and could be yours too – I don’t even take it off to wash the dishes and didn’t hesitate when jumping into the ocean last month in Mexico. I have now had my Submariner since January and it looks exactly the same as the day I bought. While there have been many models of the Submariner released – the new models often only have slight updates to the internal movement or minor cosmetic detail changes. The new Submariners look quite similar to the original designs from the mid 1950s. To me, as well as many Rolex collectors it is these subtle changes of the Submariner that make it exceptional. The Submariner is both practical and can be worn with a t-shirt or a tuxedo. It is the quintessential Rolex – a true classic. This is the Rolex for the person who appreciates classic style. Rolex Submariner Ref. 5512 or 5513 (1958 – 1978, 1962-1989, Stainless Steel): If you want a true vintage Rolex the 5512 is an exceptional choice. The 5512 and 5513 models both didn’t have a date window, but all of these old vintage models look super cool. They can be pretty expensive but you can find a deal. The 5512 is about 30% more expensive than the 5513, but just because fewer were made. Rolex Submariner Ref. 16800 (1977-1987, Stainless Steel): Known as a “transitional” Rolex, the 16800 was developed during the period when Rolex were moving away from matte dials and hand painted markers and moving towards white gold surround hour markers and glossy dials. This was truly the bridge between the old and new style Submariners. A lot of materials used during this period so many of the Submariners have aged differently and are unique. You can find a vintage 16800 or 168000 starting at $4,500 and they are often under-appreciated and thus more affordable. Rolex Submariner Ref. 16808 (1981-1990, 18kt Gold): If you are looking for a solid gold Rolex there are non that are a better value than the 16808, which look both vintage and modern with both black and blue dial versions available. These can be found started at $14,000 – which is a deal compared to the new $25,000+ price threshold. Rolex Submariner Ref. 116610LN (current): The newer Rolexes have much wider lugs than the vintage models and feel exceptional to wear. Even if you are going to buy a vintage Submariner I recommend that you test wear the new model. A new 116610LN starts at $8,500. To learn more visit the Official Rolex Submariner website. The second most popular Rolex model, the Rolex GMT was launched in 1954 and was developed in conjunction with Pan Am airlines for its pilots to use in flight to tell the time across different time zones. The hope was they the watches could help them battle jet-leg (by knowing what time it was in the time zone they left). In the 1950’s flights were getting longer and the GMT, which literally stands for Greenwich Mean Time, was developed with an extra hand and bezel that allowed pilots to track multiple timezones across the world. 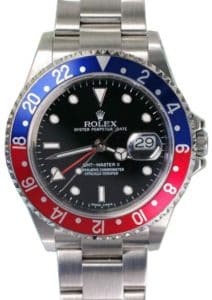 The design of the Rolex GMT Master is very similar to the Rolex Submariner with a few noticeable differences, the main one being a 24 hour bezel. In the 1990’s there was actually a GMT Master II model that was released and is the model currently sold today. Like the Rolex Submariner the GMT Master is also waterproof but to a shallower depth – although for the everyday wearer it is just as durable as the Submariner. The GMT is another popular and classic model, but the bezels often have more color – so if you want a little more color, but still a classic look, then the GMT might be for you. Check out the GMTs with blue “blueberry” bezels – they are quite rare but exceptional. Many first time Rolex buyers are torn between the Rolex Submariner and the Rolex GMT. Rolex GMT Ref. 16750 (1981-1988, Stainless Steel): If you couldn’t tell I am a big fan of 1980s Rolex because I think they are under-appreciated and a good value. The GMT 16750 is similar to the Submariner 16800 in that it represents a “transitional” period and thus Rolex put out a lot of unique models. Pre-1986 the 16750 had a matte dial, then a glossy after, but all of the 16750’s have the quickset feature making it easy to change the date. One standout 16750 is the collectible “root beer” or “coffee” bezel that is brown and gold. You can read more about the Rolex 16750 here. Rolex GMT Ref. 16760 (1983 – 1988, Stainless Steel): The 16760 is the first GMT II model and widely known as both the “Fat Lady” and “Sophia Loren” because of the extra large case and curvy look. The 16760 was only offered with a Black and Red bezel and they also came with an insanely large crown guard. 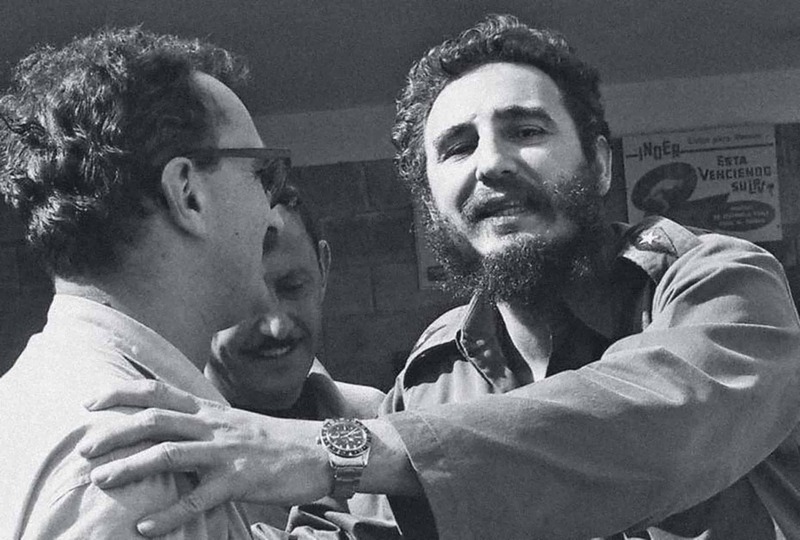 Fidel Castro and his beloved Rolex GMT. He has been a Rolex wearer for 50+ years. 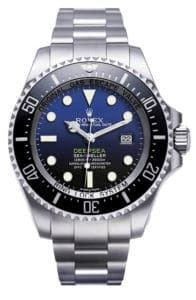 The Rolex Sea Dweller and Rolex Deep Sea are both technically known as dive watches like the Submariner and look very similar to a Submariner. Originally developed in the early 1960’s, I like to call the Rolex Sea Dweller the big beefy brother of the Submariner – this is because the watch is bigger and can withstand more water pressure than a Submariner. The Sea Dweller case is also quite a bit thicker than the Submariner and this makes it a bit heavier as well, but by most accounts the Sea Dweller looks very similar to a Submariner. One of the defining features of the Rolex Sea Dweller is the helium escape valve which allows it to go to depths of 4,000+ feet. The Sea Dweller is also a classic Rolex model and is for the person who prefers a heavier more substantial watch than the Submariner. Rolex retired the Sea Dweller in 2008 and released the Rolex Deep Sea, which is an even larger dive watch with a three-piece case and can withstand water depths of 12,000 feet. One of the coolest Deep Sea models is known as the “James Cameron” with an iridescent blue dial – built for the renowned hollywood director and National Geographic explorer in residence. It is very rare for Rolex to make a special model for a person, so the James Cameron Deep Sea is worth a look and will likely become very collectible in the future. Over the past 5 years large watches have become a lot more popular and the Sea Dweller and now the Deep Sea are by far the largest Rolexes available on the market. One note of caution – if you have small wrists then the Sea Dweller or Deep Sea models are likely not for you. I spent recently spent a day wearing the Deep Sea and it was too heavy for a daily wearer. The Rolex Day Date debuted in 1956 and holds the rare distinction of being the last Rolex model designed by Rolex founder Hans Wilsdorf, as well as the first watch in the world to show the date and day on the dial. 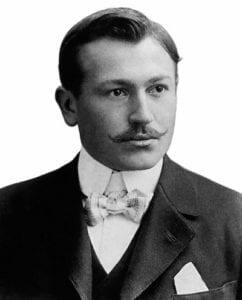 It is believed that Hans Wilsdorf viewed the Day Date as his most proud achievement and the watch has since gone on to become one of the most popular in the world. Like many of the popular Rolex models that Day Date is also waterproof up to 165 feet so you don’t have to worry about wearing it everyday. Today the watch is sold in with the day of the week written in 26 different languages. 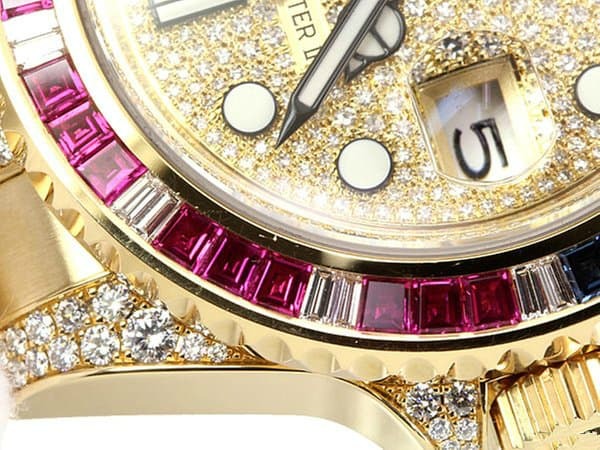 Over the years the Day Date has been offered in a thousands of different dial color variations – with some dials featuring diamonds or rubies as the hour markers. Some variations are super cool and it’s worth exploring Day Dates that are available on the vintage and used markets. One important point note is that some Day Dates are customized by Rolex before leaving the factory, but there are a lot more after market modified models. As you can imagine a watch with a factory dial is going to command a higher resale price and have more value than one modified aftermarket. The Rolex Day Date eventually was given the nickname the “President” in 1969 after it was reported that President of the United States Dwight Eisenhower was wearing one. Reports now vary on whether he was actually wearing a Day Date or just a Datejust with a custom clasp bracelet – but we will leave that nail biting conversation for another day. 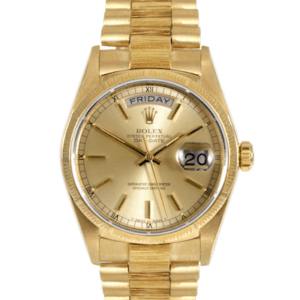 What is well known is that a new version of the 18 kt gold Day Date with a clasp bracelet after 1969 became the go to Rolex for many top world leaders and it is known that many other US Presidents after Eisenhower have worn the Rolex President watch. The President was also reportedly the watch of choice for both the dictator Hugo Chavez, as well as the cocaine cowboys of Miami in the 1980’s. The Rolex Day Date is classic Rolex and its relatively easy to find one with a custom colored dial that you like, whereas the President is flashier and screams 1980’s excess – but that can be cool too depending on your style and the vibe you are looking for. The Rolex President is both classic and the quintessential gold Rolex. 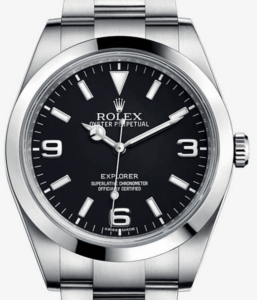 The Rolex Explorer, at 36 m is both smaller and a lot less popular than the Submariner, GMT, and Sea-Dweller models. This makes the watch both more affordable and a perfect “first” Rolex. First introduced in 1953, the Rolex Explorer actually existed since the 1930’s, but was previously known simply as Rolex Oyster Perpetual Chronometer. 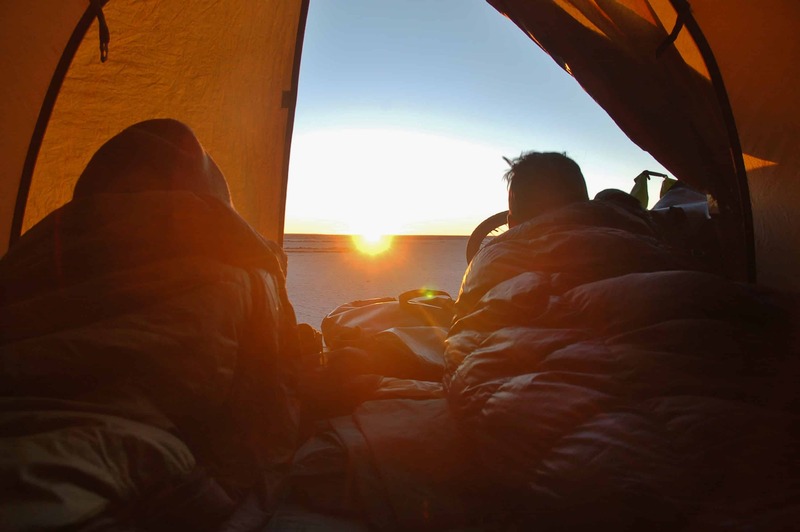 It was renamed the Rolex Explorer due to the fact that it was popular with mountain climbers since it could withstand the rigors of high altitude and extreme weather. The most popular Rolex Explorer wearer was the great Sir Edmund Hillary, who was famously wearing his Rolex Explorer when he climbed Mount Everest in 1953 and who’s Rolex Explorer is currently on display at a museum in Zurich. Other famous Rolex Explorer wearers include Prince Harry, Matt Damon, and Al Pacino. The Rolex Explorer is both simple and understated, but it possesses all of the quality elements that make a Rolex. The vintage models are particularly beautiful and worthy of a look. The Rolex Explorer is for the person who wants a Rolex, but doesn’t want it to draw any attention. This is a quality Rolex model with exceptional vintage models that are both affordable and unique. The Rolex Yachtmaster debuted in 1992, but the name actually made its first appearance in the mid 1960’s on a few Rolexes (only 2 are known to exist today!). Legend has it that the 1992 model was originally conceived when Rolex was thinking about modernizing the Submariner – but they eventually were afraid of making such a radical change to the Submariner’s design so they launched an entirely new model – the Yachtmaster I. These Yatchtmasters looked almost identical in many ways to the Submariner – but most of the dials at the time were white. To me the original Yachtmaster looks incredibly early 90’s and one of the only Rolex models that I could ever say looks “dated” in a bad way. There is nothing particularly classic about the look, which personally I just don’t like. While it certainly has it’s followers, I think this is one of the reason’s early Yachtmasters can be found for $3,000+. They simply aren’t as popular as the Submariner, GMT, or Sea Dwellers. The Yachtmaster II was released in 2010 and was a huge departure for Rolex – a brand that rarely makes big departures. The watch with a 44 mm case, while only 10% larger than my Rolex Submariner feels a lot larger. To me the size makes it uncomfortable and when I recently wore one for a day it just didn’t sit well on my wrist. But the watch certainly looks cools and has a lot of features if you find yourself soon commandeering a Yacht in the Mediterranean or racing in a regatta. 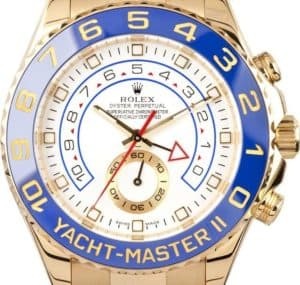 According to Rolex it took them over 4 years to design the 350+ part programmable timer mechanism on the Yachtmaster II that can count down from up to 10 minutes. It is clearly a very complicated movement and when I tested it was easy to use and worked perfectly. Just don’t break it – I can’t imagine how expensive it much be to repair the timer mechanism. The Yachtmaster is a big and showy watch that really shouts hey look at me I’ve got $25,000+ on my wrist. If you want to look like a baller then wear a Yachtmaster – if its 18kt solid gold than even better. While this wasn’t the model for me, I can understand the attraction. The Yachtmaster is the go-to Rolex for celebrities like Scott Disick, Brad Pitt, and Mark Wahlberg. 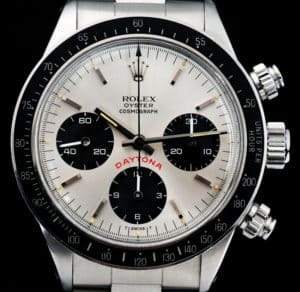 Last but definitely not least, the Rolex Daytona debuted in 1963 and was designed for race car drivers to help them measure how fast they are going (shouldn’t they be looking at the speedometer and road and not a watch?). I’m sure 99.9% of the Rolex Daytona wearers in the world don’t drive race cars but this watch looks super luxe and the vintage models are even better. The Rolex Daytona is a truly exceptional watch that has a 40 mm case like the Submariner, but it looks and feels quite a bigger on your wrist. I am personally a much bigger fan of the vintage Daytonas than the new ones, but they are all worth considering if you like the look of the Chronograph. Vintage Daytonas, including the iconic Paul Newman model are some of the most sought after Rolexes on earth and routinely fetch over $100,000+ at auction. The original Rolex Daytona was a manual winding watch and it was one of the only Rolexes where the internal watch movement wasn’t made entirely in house, but in 1988 they released a full self-winding version and slowly began to bring the full production movement in house. Like the Yachtmaster, the Rolex Daytona draws a lot of attention, but it’s a beautiful watch and every year Rolex release a new combination of colors and metals. The vintage models are just as expensive, if not more expensive than the new models and typical start at $30,000 and can go up to $200,000 +. Without a doubt the Rolex Daytona is the most collectible Rolex watch model. 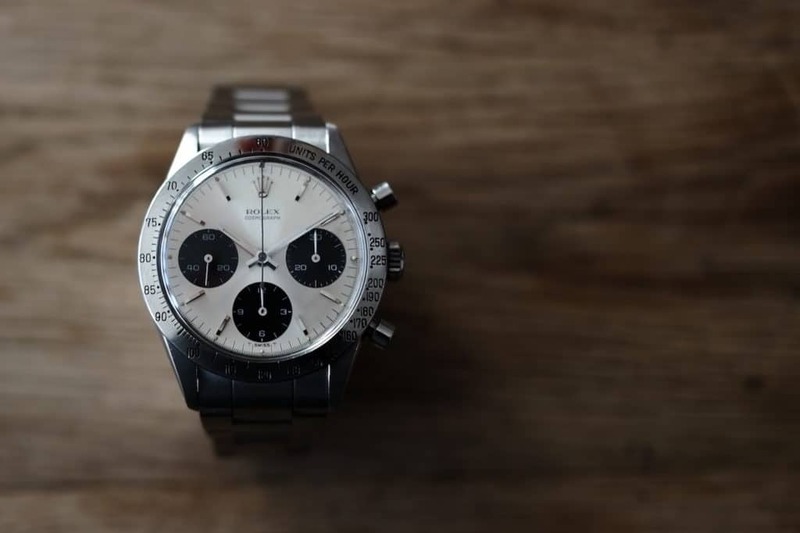 To learn more about the history of the Rolex Daytona here is an awesome article from Hodinkee. Where should you buy a Rolex? New: The only place to buy a new Rolex is an authorized Rolex watch retailer. As mentioned above unlike almost every other watch brand, Rolex only sells new watches through authorized retailers. However it is relatively easy to find a “like new” model on a reputable used Rolex website. There are some people who invest in a Rolex and then resell them within one year of having it. However even “like new” models are only offered at an approximately 3-5% discount than buying the watch directly from Rolex. Used/Vintage: There are a number of great reputable websites to buy used and vintage Rolexes, but the three most popular and great places to start are Chrono24 (Worldwide), Bobs Watches (Huntington Beach), HQMilton (San Francisco), and Paul Duggan (Boston). You can also search on Rolex Forums, which used to be very popular, but with the rise of social media more Rolex buyers are heading to Instagram instead of forums. Best of luck in your Rolex search. Let me know what you find!